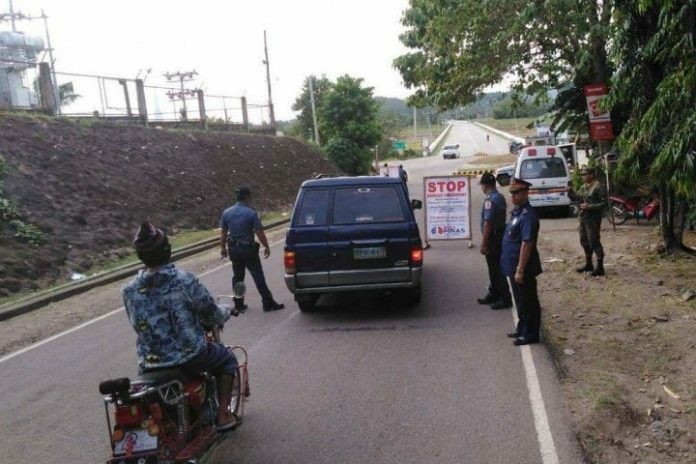 NAVAL, Biliran, Feb. 7 (PIA) — The chief of the Biliran Police Provincial Office (BPPO) has told the public to cooperate in the checkpoints randomly conducted in the province of Biliran. “The Philippine National Police (PNP) in coordination with the Commission on Elections (Comelec), has started conducting checkpoints at the start of the election period on Jan. 13, as one of the security measures to ensure an orderly and peaceful May 13, 2019 mid-term polls,” PSSupt. Julius M. Coyme, BPPO Provincial Director, said in an interview at the PIA Biliran’s Pulong-Pulong ng Bayan at Radyo Natin-Naval on Jan. 28. Coyme assured the public that the PNP personnel manning the checkpoints shall adhere and observe the rules in the conduct of their duties such as wearing proper uniform, well-lighted checkpoint area, observing plain view doctrine at all times and courtesy. He appealed to the public to cooperate with the assigned PNP personnel at the checkpoint area who will ask favor like switching-on the light inside the vehicle to have a clear view inside, opening of car window and in other parts of the vehicle whenever necessary. He told the public not to be afraid of the police officers manning at the checkpoint as they are trained in the conduct of their duties. Coyme further told the public to report to their office any wrongdoings or violations committed by police officers manning the checkpoint for appropriate action.